We are almost there! With the help of a core group of participants we are putting the finishing touches on the Clarifier. We still have several square feet to cover and a lot of grouting to do before the DEDICATION CEREMONY, September 12, 2015. We will be working on the project Sundays between now and then and we would love your participation. 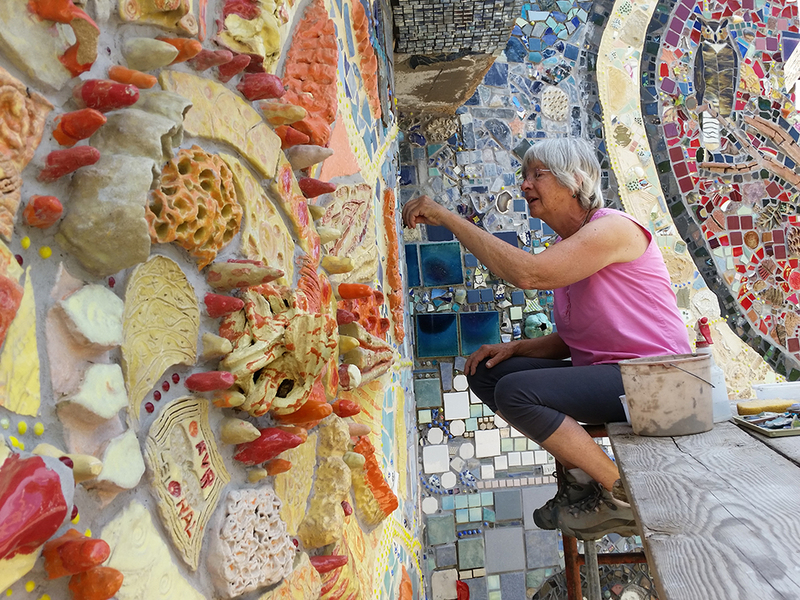 Come by between 9 – 12 on Sunday mornings to help grout, clean up the site and scrub the mosaic to get it ready for the world debut! 3:00 Procession to Sandstone Park for a 3:30 Concert by the wonderful Sounds of Lyons. This entry was posted on August 3, 2015 by priscillacohan. It was filed under Uncategorized .